The proofing stage of preparing the Tekumel Foundation’s edition of Prof. M.A.R. Barker’s second novel Flamesong is now complete. Stephen Hearn has been responsible for the proofing projects for The Man of Gold and Flamesong with proofing partners Theresa Alberti, Kathryn Hearn, and Robert Dushay. Proofing the first two novels has required two people, one working from Prof. Barker’s marked up computer printout manuscript and the other from the Foundation’s working electronic copy in PDF, both watching for discrepancies between the two documents. Prof. Barker’s manuscripts are impressively error free. Much of the correction consists of catching double periods, foreshortened dashes, missed italics and other anomalies in the PDF working copy. Between the two novels Barker switched from British to American spellings (he had moved from Montreal to Minneapolis in the interim). The proofing has occasionally corrected a word which missed this transition. The goal is to produce a clean edition of the book with no anomalies in the text to disrupt the flow of Prof. Barker’s words and imagination. One side benefit for the proofers has been the chance to read aloud and share these stylish and inventive narratives and immerse themselves again in the world of Tekumel. 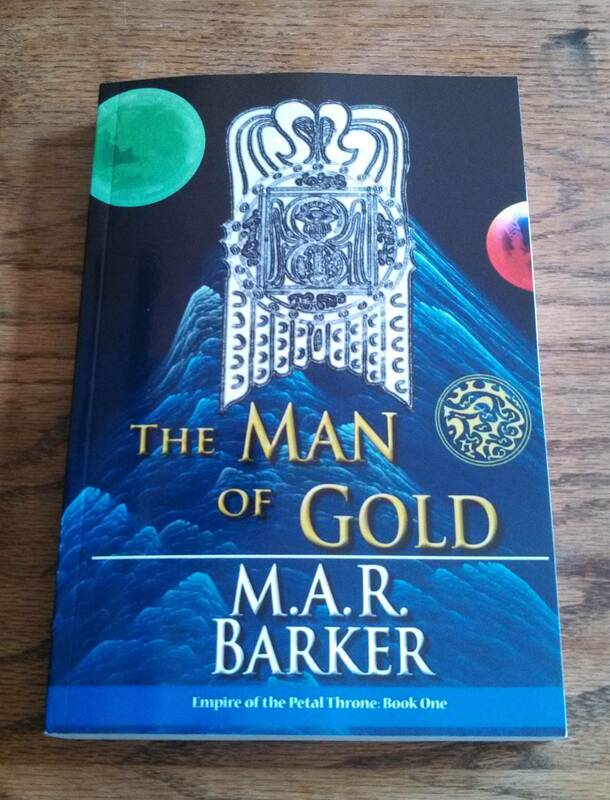 The Man of Gold is available and can be purchased through Amazon.com or CreateSpace.com! 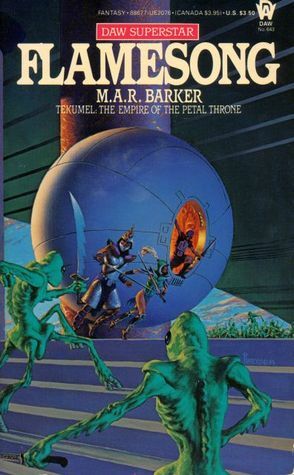 The Tekumel Foundation is pleased to have the first published novel by Prof. Barker back in print. You can also purchase the eBook for Kindle, Nook, or Kobo. We’ve learned a lot from this project, and that will help in publishing Prof. Barker’s second novel, Flamesong, in the near future. 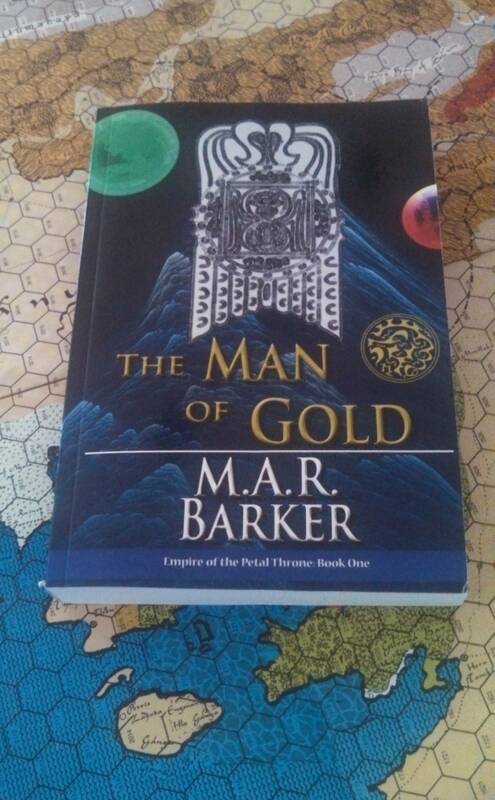 If you have never had a chance to read about the world of Tekumel in novel form, The Man of Gold provides wonderful insights into the culture and society of the Empire of the Petal Throne. 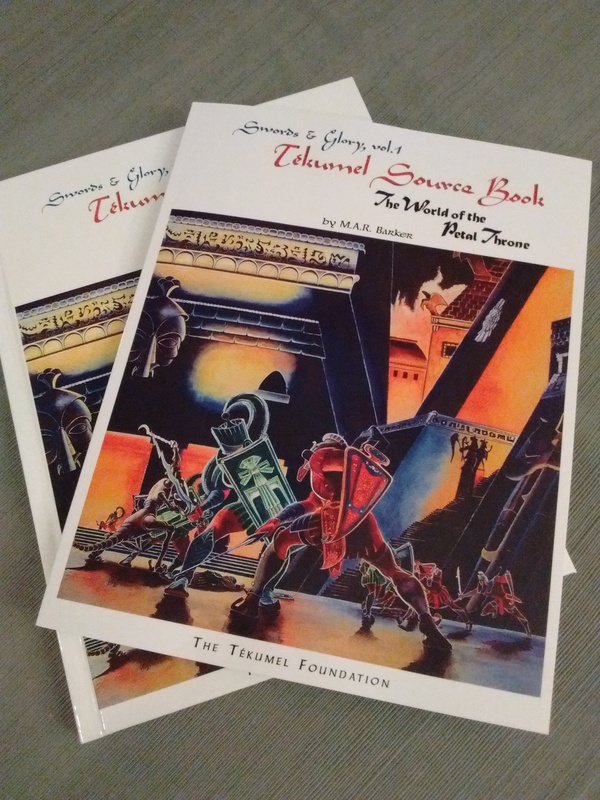 In addition to The Man of Gold, the Foundation is getting ready to announce the availability of The Tekumel Sourcebook, a reprint of the original Gamescience edition, with a new index and glossary!